Professor Bartlett is a PhD Candidate at the University of New Hampshire. Her research investigates changes in soil chemistry and forest growth using field data to validate remote sensing approaches. 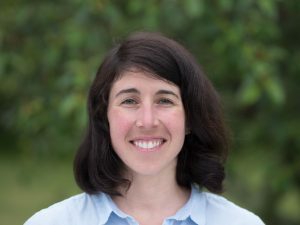 Her current research is a collaborative effort between the US Forest Service Northern Research Station, White Mountain National Forest, and UNH that informs forest monitoring, forest management, and soil quality standards. Courses taught include Computer Mapping, Introduction to GIS, GIS for Land Use Planning and Introduction to Remote Sensing.